Poor quality data can seriously harm your business. It can lead to bad analysis and even worse, bad business decisions. These bad business decisions can then have adverse effects on how your business performs, often leading to financial losses. Here we’ll take a look at some causes, consequences and preventative measures that can be taken to stop the growth of poor data. Not following company data guidelines – Breakdowns in established procedures and the failure to follow key processes can lead to disparity between databases and key data points. Reliance on multiple systems – If these multiple systems don’t properly integrate with each other, multiple versions of the truth may occur. The information can be manually re-keyed, however this can lead to problems with human error, especially if there is no validation. Data migration – Either the transfer of data across systems, or from multiple systems into a single system will carry the risk of damaging the data, especially when it wasn’t clean initially. Mixed data entry – Within certain fields, such as open text fields, different terms can be used for the same item, such as abbreviations, shortened terms or even spelling errors. This will lead to dirty data, causing problems from a simple mistake. Data decay – Over time data will change; do you still use the same email address you did 2 years ago, or still have the same job title? You’ll need to make sure that you keep your data up to date, otherwise it’ll become outdated and uncontactable. Hubspot found business databases naturally decay at 22.5% every year. Loss in revenue – You’ll lose customer and client interest if you don’t keep them in the know of your latest products and activity. If you haven’t got the correct information to contact them how can you keep them up to date with this data? Additional costs – If you’re running data analysis or predictive analytics with incomplete and incorrect data, you could not only be wasting your time, but also risk being led down the wrong path. This’ll means inefficient resource management, wasting resources firstly trying to follow bad analysis, and secondly trying to fix your errors. Damaged reputation – If you’re cold calling the same customer multiple times or are sending emails to a large number of dead addresses because of bad data management, you’ll likely build a bad reputation both within the physical and digital world. Utilise a pre-check system for any manual data that is collected – make sure a consistent format is used for names / job titles etc (eg Director of Marketing / Marketing Director / Dir. of Marketing may all mean the same to you, but they don’t to a CRM system). Collect as much manual data through pre populated online forms – these forms can be designed and tested so the data from these forms come exactly in the format you want it to be delivered. Integrate all your databases – either make sure all your databases are integrated together, so there will be no data discrepancies between your data, or use a single database where you can obtain and gather all your data. 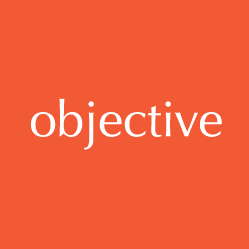 This is where we at Objective can help you and your business. We specialise in bespoke database development, which can transform the way you handle and access your data.